One of the featured mushrooms on our menu is the highly rated Summer Oyster. 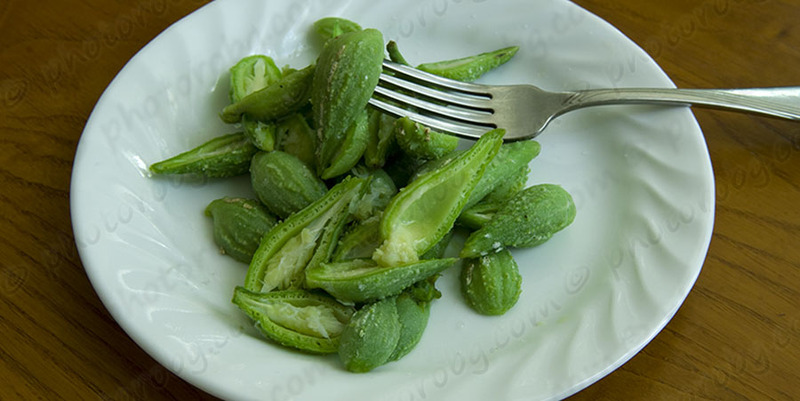 Its delicate fleshy substance renders the perfect texture to any dish. We will also forage for other fungi such as Pheasant Back (one of the few mushrooms eaten raw), Gem Studded and Boletes as well as Wild Leek Bulbs, Wood Sorrel and Wild Watercress. Then we return to the Forest Motel where a four course meal awaits us, served under banquet tents alongside a lovely lake. Truffle Gouda from Mountain Oak Cheese along with baguettes from The Downie Street Bakehouse will be the opening fare followed by Wild Nettle Soup. 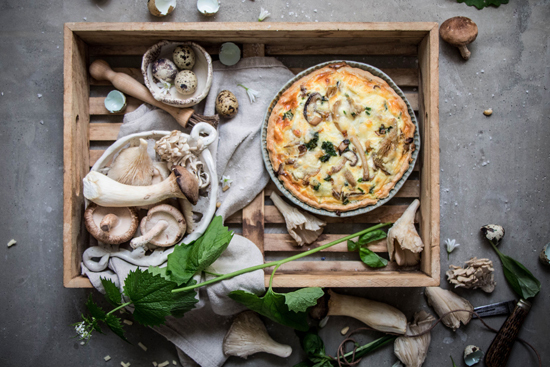 Our main course is Wild Mushroom Quiche with mixed salad greens while dessert will be served up by The Black Angus Bakery. Locally brewed craft beer and wines from Niagara are also included. 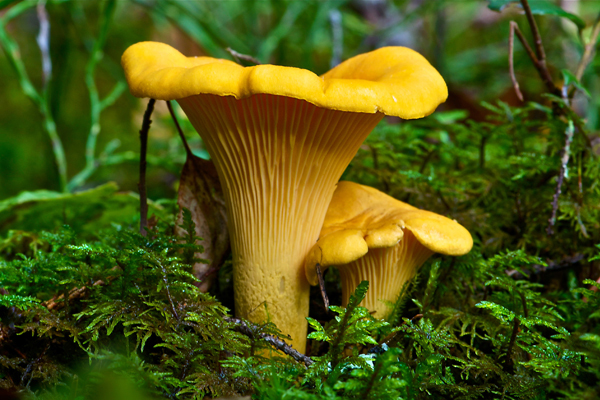 Otherwise known as Saffron Milk Caps, they arrive in early August where they continue to grace conifer floors until the first weeks of October. 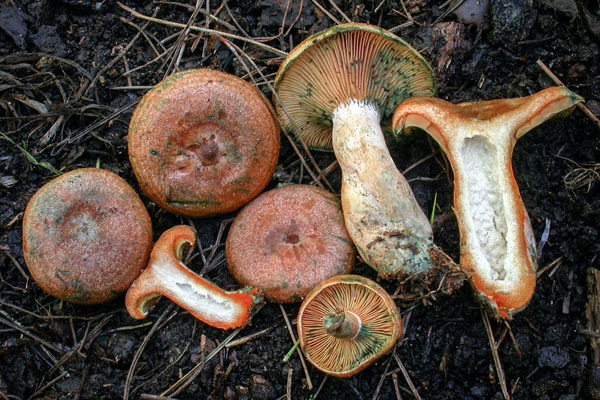 Bright orange and staining blue, these fungi are highly sought after in Eastern Europe and are THE favourite mushroom of Poland. To understand why you might want to give this recipe a try, Polish Salted Mushrooms. 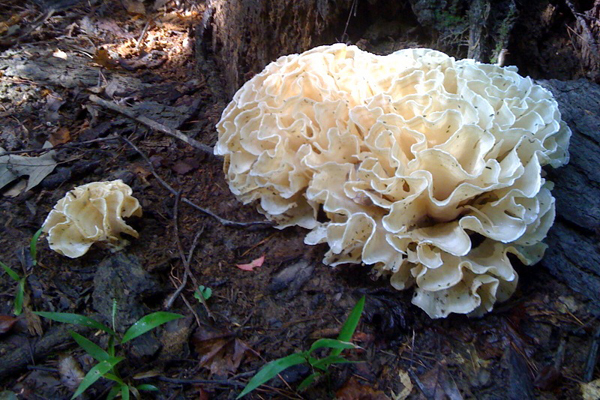 There are other edible mushrooms and plants along the trails. 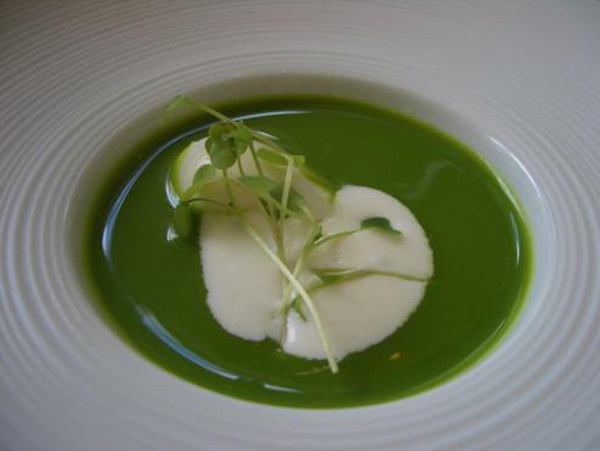 Summer Oysters, Boletes, Coral Mushrooms, Wild Watercress, Wood Sorrel and more. 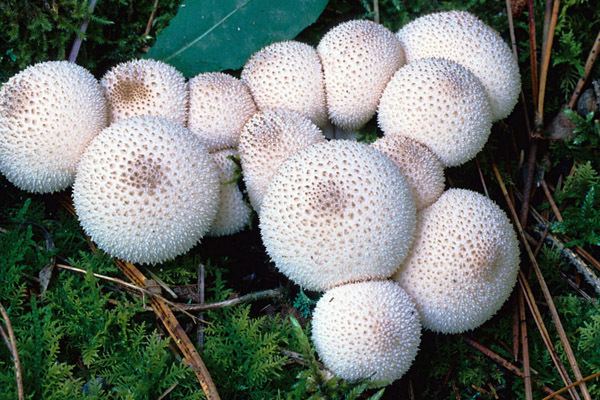 One of the earliest of Puffballs to appear, the Gem Studded is right up there on the chef's list as a prized edible. About the size of a button mushroom it has a meaty texture along with a slight sweet taste. You can find them in clusters on forest floors and decayed hardwood where they will continue to appear through mid Autumn. 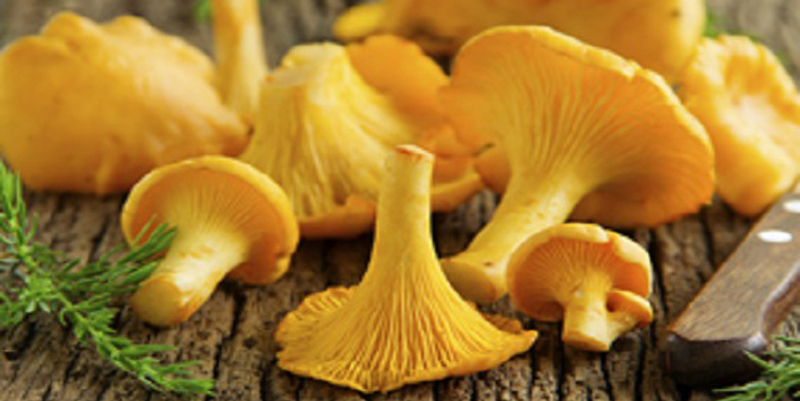 We'll be foraging for these as well as the Summer Oyster, The Cauliflower Mushroom, a variety of Boletes, Lactarius Deliciosus as well as a variety of wild edible plants. 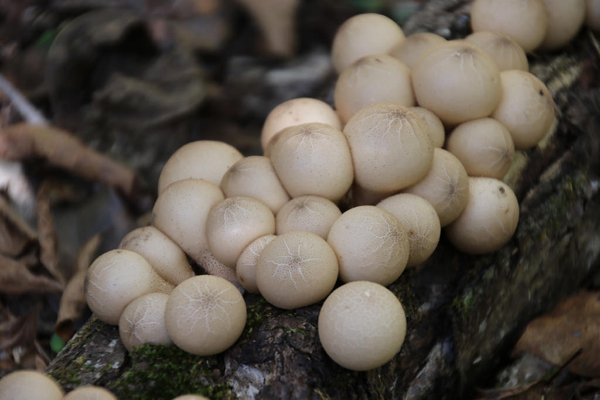 Along with Wild Ginger we will also forage for several mushroom types including Summer Oysters, Gem Studded Puffballs, Wood Ear Mushrooms and more. It's a time of year that will put your Culinary skills to test. 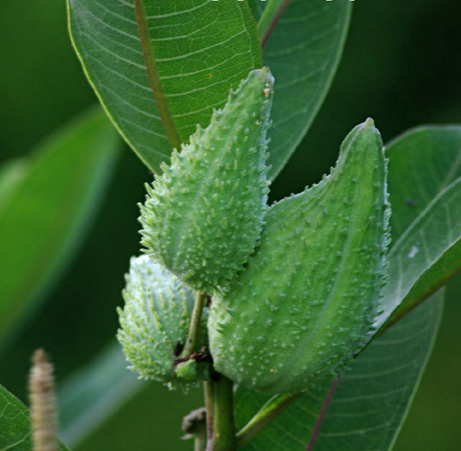 What better way than using the wild edibles Mother Nature has to offer. 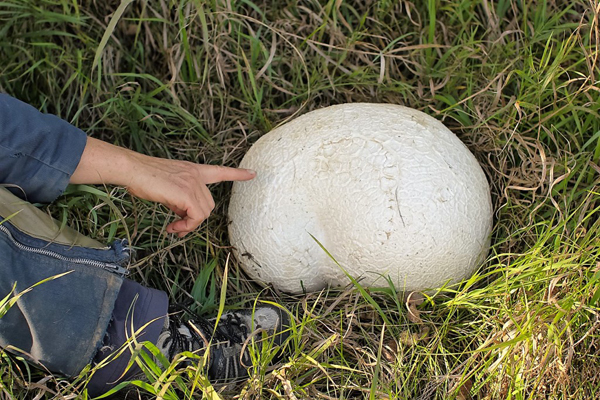 Mid August and we are returning to a stretch of The Bruce Trail as Mother Nature heralds the arrival of the monster fungi, The Giant Puffball, another highly sought after mushroom rated as "choice" in the Culinary world. There are scores of recipes from Puffball Lasagna to Puffball Pizza to simply sautee in butter. They'll be available well into September and, let's face it, easily spotted. 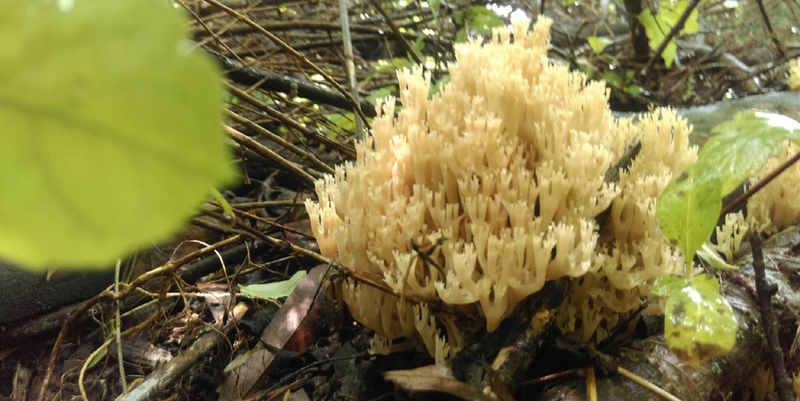 Along with the Puffball we will be searching for Summer Oyster Mushrooms, Corals, Boletes and more. No plants please. 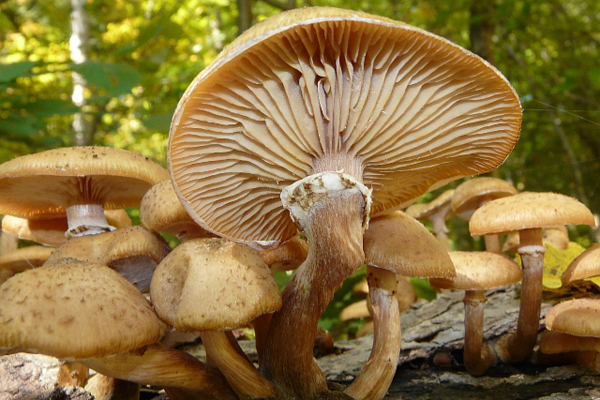 When young the Honey Mushroom resembles the Enoki, with smallish caps and stems fused together. As they mature the cap grows larger in proportion to the stem. Either way they are quite delicious and thankfully can be found right through October. You can find them inside rotted sections of hardwoods, the base of living and decayed trees and oftentimes around grassy areas of forest paths. Along with these beauties we will also forage for Summer Oysters, a variety of Boletes and Coral Mushrooms. 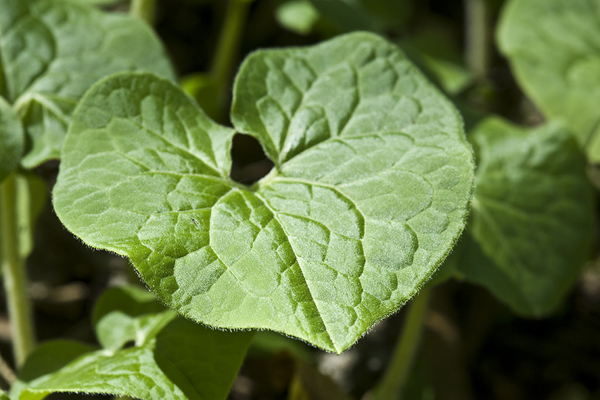 Wild edible plants will also be on our agenda. Wild Ginger, Wood Sorrel, Watercress and Day Lily Tubers all only fifteen minutes from Stratford. 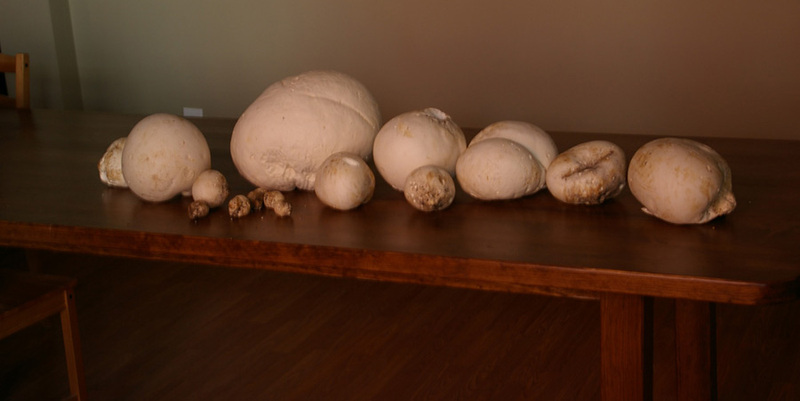 Besides the Gem Studded and Giant Puffballs this time of year also features the Pear Shaped Puffball. Another mushroom rated as "choice" you can find them from July to November on well decayed hardwood or emanating from buried rotted wood underneath the forest floor. About the size of Button Mushrooms they are a wonderful addition to many recipes. Like all members of the Puffball Family their interior must be solid white before consuming. The Pear Shaped can be found in the same areas as Summer Oysters, Honey Mushrooms and several varietis of Boletes. 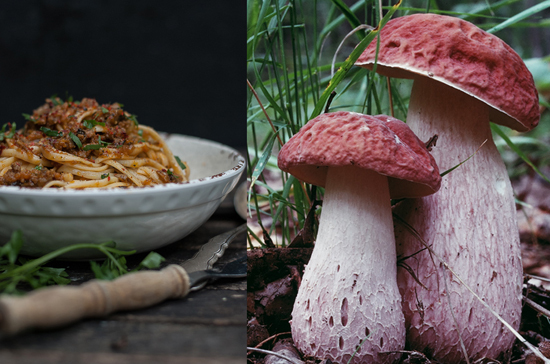 August has always been a marvelous month for mushroom hunting. And so, the trails await. 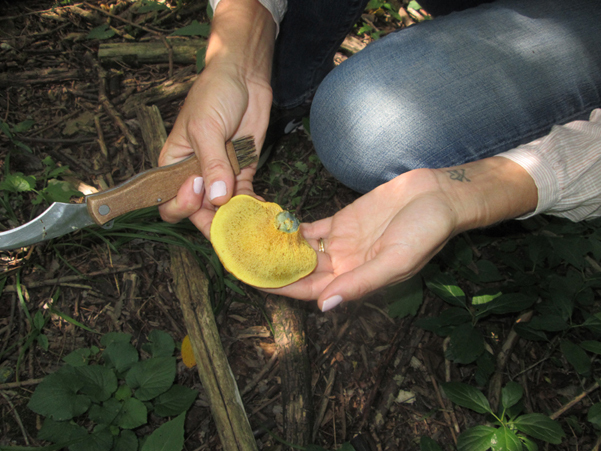 Late August offering feature several types of Boletes including what some call The Wild Porcini. This family of mushrooms is quite easy to identify simply because it has no gills. Instead there is a "spongy" substance that bruises olive to blue when touched. They are quite delicious especially when harvested young. These will be one of the many mushrooms we will forage for along with wild leek bulbs and amazing wild ginger. After our foraging segment we return to the Forest Motel where a four course meal awaits us, served under banquet tents alongside a lovely lake. Truffle Gouda from Mountain Oak Cheese along with baguettes from The Downie Street Bakehouse will be the opening fare followed by our popular Summer Sorrel and Potato Soup. Our main course will be a Wild Mushroom Bolognese followed by fresh peach pies from The Black Angus Bakery. Locally brewed craft beers and wines from Niagara are also included.